About Dija: Fans love to observe all the details of the personal lives of their idols and enjoy finding out interesting information as quickly as they can. This is the case with the famous Hadiza Salma Blell, who is more popularly known under the creative pseudonym Dija. 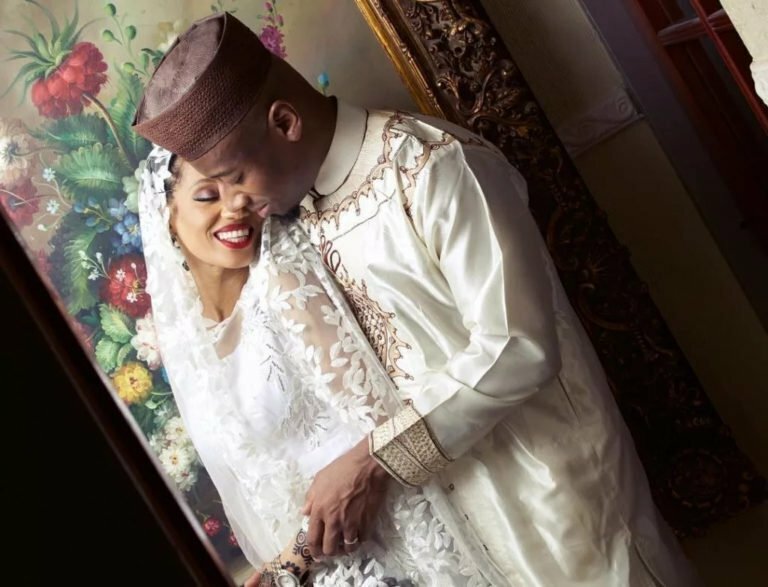 For a very long time, no one knew that is Dija married or anything much about her personal life. 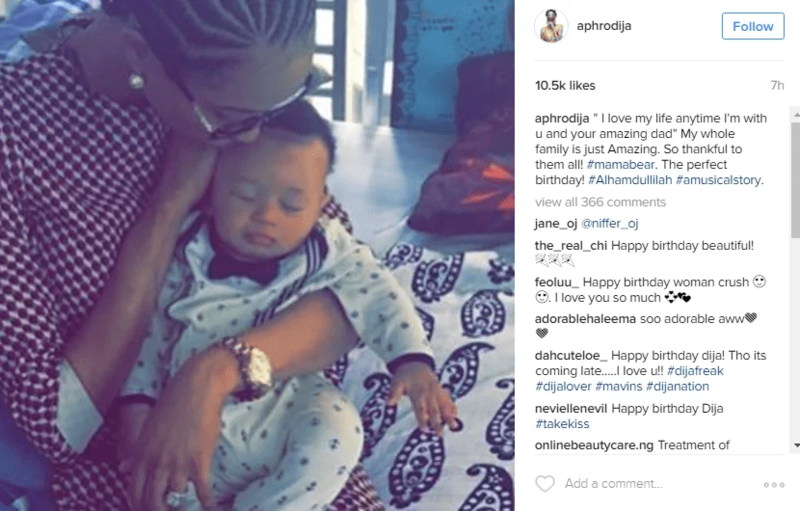 For many people, the news about Dija husband was a pleasant surprise. For about two years, the celebrity’s beloved man remained behind the veil of secrecy. Only at the beginning of this year did the public know about him. Dija husband name is Rotimi. 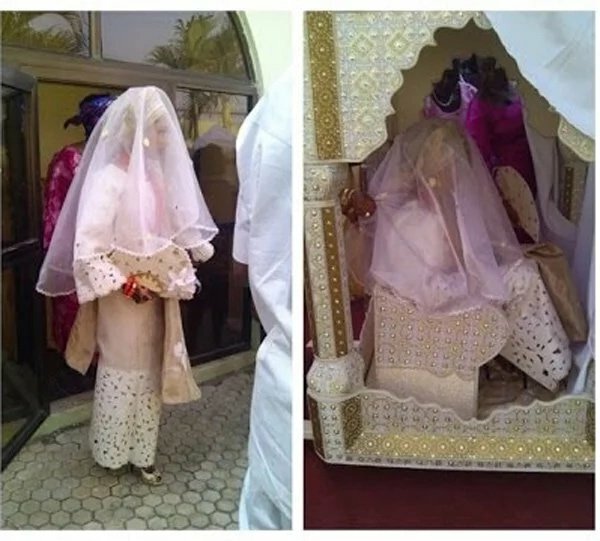 Dija wedding took place in 2015. In 2016, the happy couple had a beautiful baby boy. It’s amazing that in our time when everyone knows everything about everyone, one can remain so mysterious. Many stars, on the contrary, put their private lives on display all to attract the attention of fans. But the talented girl apparently does not need it. Her charisma is enough to charm the fans. 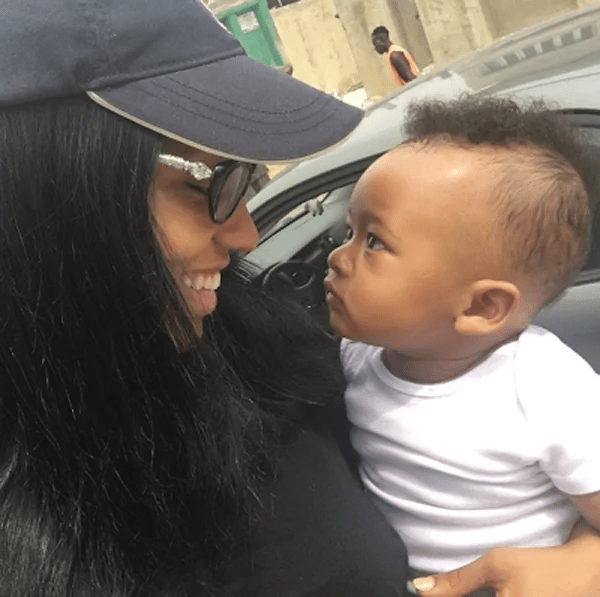 The audience learned who is Dija husband on January 6, 2017, when she made a heartfelt post on Instagram. The singer thanked everyone who supported her. Special thanks were expressed to the designer, photographer, make-up artist, stylist and other involved persons, who made her a real doll and helped make her dreams come true. Also, warm words were addressed to Mavin Records and all their fans. She joined the record label in 2014 and her work continues to bring her fame. One interesting fact about her wedding was that the photographer had no idea who the couple was at the time he arrived to photograph the event. It was only when he came that he realised who the couple really was and how famous they were. This was the first time the man had ever done a wedding without knowing who the wedded couple was. So, obviously, Di’ja loves being mysterious.. The photographer said that she looked simply beautiful and magical on her wedding day. He was certainly proud to be able to cover her event and the pictures turned out to be really spectacular. Many people began to ask why this secrecy was needed. 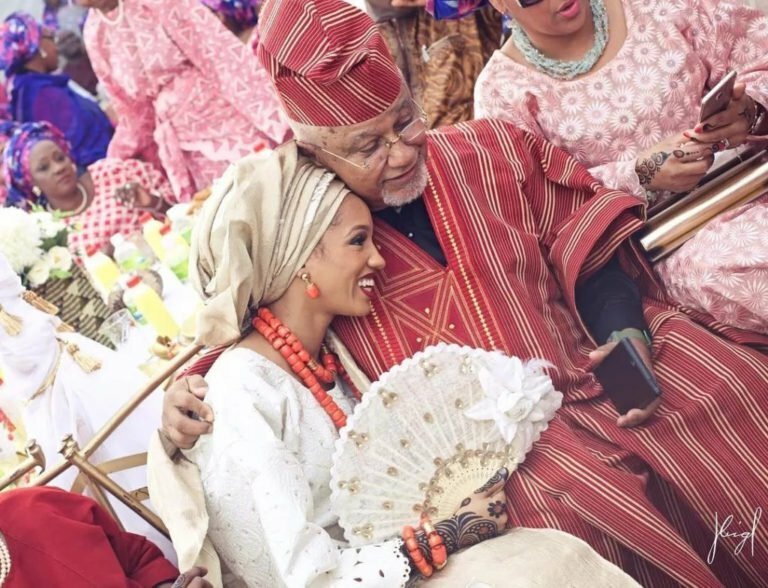 The only photo that they saw of the wedding at the time was on Dija’s husband profile. But they wanted to learn a lot more and understand who this lucky person is. The singer awakened an interest in her that she just could not satisfy. 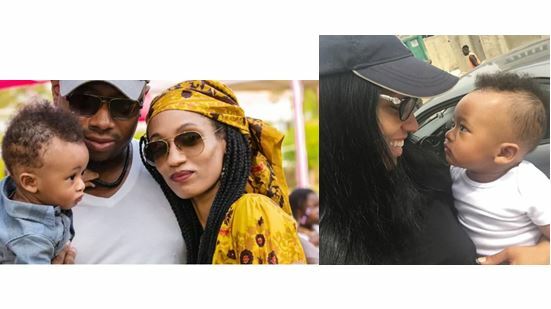 In an interview, Di’Ja said that there was no secrecy and it’s a coincidence that she wasn’t seen with her husband. 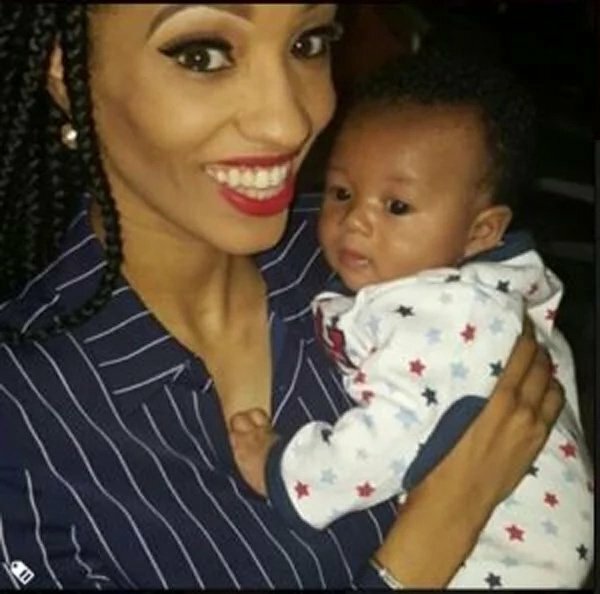 The photo we saw of Dija husband Rotimi did not showcase his featured clearly. It was very clear that the singer simply enjoyed her wedding day without worrying about how her husband looks if people can see him clearly. She did not like the fact that fans can’t understand the difference between confidentiality and secrecy. To her, this was her private life and if she does not show photos to everyone, it is her right. There is no reason for people to get upset about that, she explained. We can see how the situation can be troubling for the singer. When people do not know something, they start to invent details. As a result, rumours might end up being extremely far from the truth. In one blurry photo, it’s really difficult to identify the groom. You could hardly recognize him if you saw him outside. At the end of the day, people had to give up. 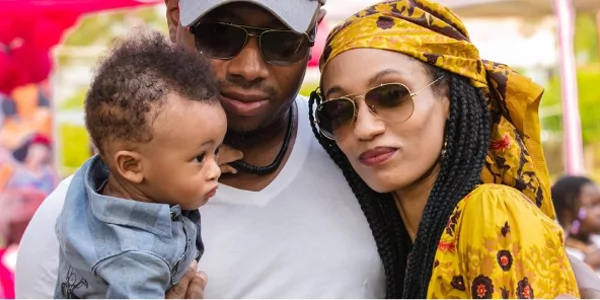 We could only hope that Di’ja will give us more details about her family happiness, publish news about her son and perhaps, a full biography of Rotimi. In February, it turned out the girl was tired of hiding. 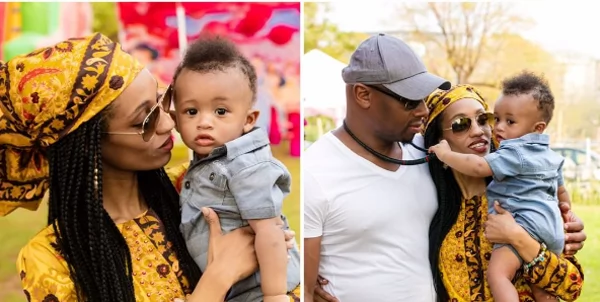 She satisfied the desires of her fans and shared a family photo where she, her husband and son attended a birthday party. The married couple and their kid look very happy. At last, the audience saw Rotimi’s face more clearly. Perhaps, if he took off his glasses, the fans would be even more pleased. Whether the singer will provide us with more insight into her personal life in the future or not, we wish her a life full of happiness, love, and mutual understanding with her hubby. In July 2016, a very touching video appeared on the internet, telling Dija’s love story. Just watch. It’s so cute!